As your baby enters the six months stage, they start to discover just how much fun it can be to play around with their hands. This is the age where your child will start sucking their fingers or using their hands to grasp anything brought within reach. Your child will soon start to learn how they can pass the toy back and forth between both hands and also how to rotate the wrist. This is also the age where everything seems to find its way to their mouth. For this reason, it is important to go for toys that are chewable. Always check labels for this information. 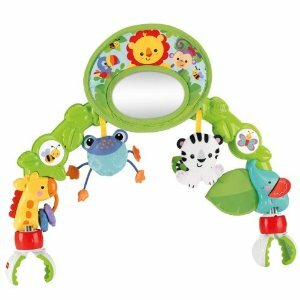 Below are some of the best toys for your 6 month old baby. 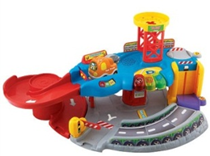 These toys meet all the safety measures and are, therefore, safe for your little one. These are simply bars that are dangling toys made of plastic. These bars can fit in your baby’s stroller, car sear to crib. The baby is kept busy by exploring all the different sounds the different bars make when touched. This is simply a rack that comprises of dangling toys and space for you to hang your own additional toys. It is only ideal for a baby who is not yet in the sitting age. As your child grows older, they start developing attachment to stuffed toys. Go for soft and cuddly animals. 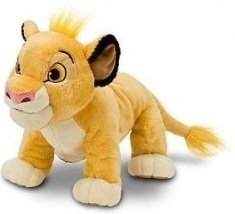 Also, ensure that these stuffed toys come with stitched-on features. Avoid plastic toys with parts like buttons, bells, yarn or ribbons. 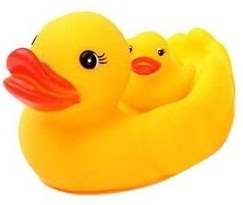 At the age of 6 months, your child will be appealed to by anything that squeaks when gripped. They find the sounds tickling. This product can be especially used during bath time, and it will make your baby enjoy the bath even more. Babies in this age love noise. They are bound to dance to the rhythm made by rattles. You can also choose music to go with the rattling and you will get your baby dancing. It is always best to read to a baby at any age. 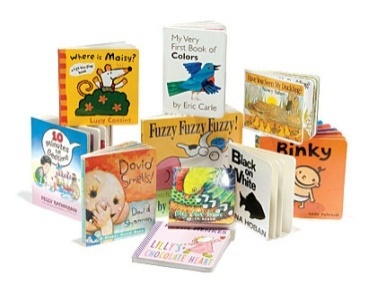 Board books are ideal since they can withstand all the drooling and chewing. This makes it easy to develop the child’s listening abilities. These are ideal when you are taking your child outside the house. They ensure that your baby has a clean place to play around. 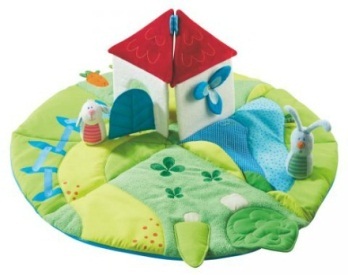 These playmats and quilts have hooks on the side where you can attach toys for play time. Kids love gnawing on soft items when they begin to teeth. 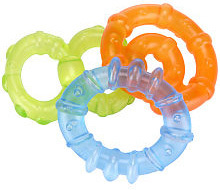 You can store these rings in your refrigerator to provide a soothing sensation when your baby needs it. Do not place them in the freezer as they can get too cold. 6 months old babies love watching moving objects. 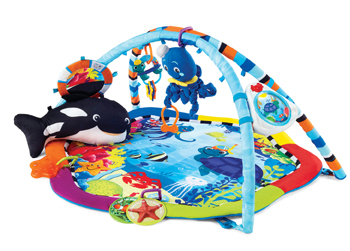 This can help them to learn how to crawl since they want to chase after the moving toys. 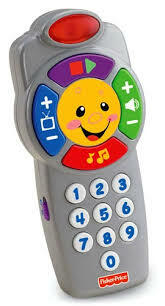 Kids love remote controls and phones or any other item with buttons. 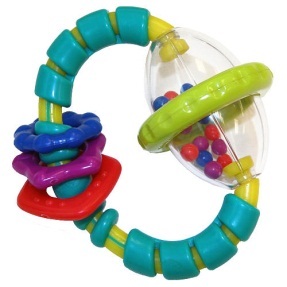 These toys can help your 6-month-olds to develop fine motor skills and can also foster their language development by pretending to talk to themselves or someone else. Any toy made from fabric should be flame resistant or retardant. All stuffed toys should be washable. All painted toys should be coated with lead free paint. All art material should be non-toxic. All paints and crayons should have ASTM D-4236 on the package. This means that these toys have been evaluated by the ASTM (American Society for Testing and Material). Always ensure you read the labels on the toys to learn about the appropriate age recommended for the toy. Also, use your best judgment considering your child’s temperament, behavior and habits. Remember that age levels for toys are determined by safety factors and not necessarily your child’s ability to play with the toy. 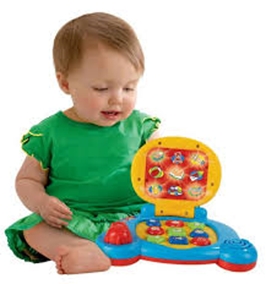 You should choose toys that are large enough for your little one. This prevents them from being swallowed by your baby or lodged into the windpipe. The appropriate size should measure 3cm in diameter and 6cm in length. This is equal to 1 1/2inches in diameter and 2 1/2 inches in length. Avoid toys that comprise of coins, marbles and balls that are 4.4cm or less in diameter as they can be easily lodged into the windpipe and cause choking. Toys that operate using batteries should have screw secured battery cases to prevent kids from accessing the batteries. Ensure that you check for ease of breakage and the strength to withstand chewing when inspecting toys for toddlers or young babies. Also check for any sharp ends or small parts that can be pulled out and possibly put in the mouth. Avoid toys with strings that are longer than 18cm and also parts that can be pinch points for small fingers. Riding toys are mostly ideal for your child if they can sit up well without support. Always check that the toys come with safety harnesses that prevent tipping. For animal toys and stuffed animals, especially those given in carnivals or funfairs, check to ensure that they are safe as it is not a prerequisite for these toys to meet any safety guidelines.